The maṇḍala is a symbol for the wholeness of Self, which, loosely defined by me, includes the ego (the center of consciousness), the conscious mind (assumed to exist in the brain somewhere, although that has yet to be proven – the intelligence of our intellect, and the wisdom of the heart), the personal unconscious (previous thoughts, instincts, feelings, and experiences forgotten, but held in memory), and all that timely remains unconscious (self-knowledge that has yet to emerge) in our psyches up to Now. With “Aion”, Jung presents the Christ within us as another symbol for the Self in its entirety. These archetypes are also portrayed as constellations, or congregations, of ideas in our psyche that he claimed to exist a priori to the birth of consciousness within ourselves. Therefore, we come into the world with a map, of sorts, that is lacking in instructions, but chock-full of instinctual natures (drives that steer our will/wheel) that are somehow imprinted on the electrical structures of the brain. Libido is a term described as the energy that turns the wheel. The wheel runs a route that is consciously directed whilst we are awake, but when we are asleep, the wheel’s direction is subject to the will of the unconscious; i.e., God, daemon, our sympathetic nervous system, etc. Carl thought astrology was worth pursuing, but he got caught up in the ideas and thoughts of The Gnostics and the alchemists. He searched for a train of thought, like a silver thread or a fine lifeline, that connected these historical figures, right on up through the annals of time, to himself and his theories. In his great mind, he was the one who received the baton from his ancestors, and in honor of those who had run the race before him, he was to raise the torch and blaze a trail until the time came when he thought he had accomplished all he could in one lifetime, and he laid his pen to rest with the hope that after his passing, another would heed the call and continue the race. The Age Of Blind Faith is slowly coming to an end, or so it seems to me. Church-goers are dwindling in number, whilst atheists groups continue to add members. Jung wished to save Christianity by proving its contemporary poignancy; by proving it is for real; that it is a living myth with a living Savior who makes History today. It is not only an age-old story, it’s a Truth that He walks amongst us today. Jesus Christ is pertinent today! He stands for The Truth, whether it comes from scientists, or artists, or any other vocation, it matters not. Below is a link to an article about C.G. Jung, written by a Jewish Professor of Psychology, concerning the Book Of Job. It’s simply the best commentary on Carl’s views that I have ever seen. This explains his ideas ten times better than I could do. The Bible story, how to read it, what it means, and why God had to change His own nature due to His ongoing relationship with His chosen people – is given here. Jung made many prophetic statements during and after W.W.II. This article tells which ones were ‘on the money’ based on how things are today. Uncle Tree, I have to admit that much of the argument that have you put forward in your post, is beyond my comprehension. Nevertheless, I find the post very interesting and I will certainly follow the link you have suggested. Thanks for sharing. I really appreciate the opportunity I have to read your thought provoking posts. God bless. the contents of which are psychic, and therefore imaginary. But everything that is was first imagined in the Mind of God. in the physical world – the reality outside ourselves. The coolest experience is when these two worlds collide. Firstly, thanks for dropping by and commenting on my blog. It seems we have some similar things on our minds! Secondly you have expressed some very interesting thoughts and ideas here which I will have to think about more. Carl Jung, to my mind, was an ‘albatross’ of a man. His friend and associate, Laurens van der Post, reported that he was journeying by sea when a cable was brought to his cabin concerning the passing of Jung. He read it and looked up to the one porthole window in his cabin. At that same moment an albatross swept low across his somewhat limited field of vision. He never saw the same again. For Laurens it evoked a great moment of awe and he was certain that Jung had entered into the great Oneness that speaks with ‘synchronicity.’ His great friend had dropped by to reassure him that Life goes on. When I first read Memories, Dreams and Reflections, from the stark early background of a Plymouth Brethren family steeping, it was like entering Aladdin’s cave! Heavenly bells still chime for me. Hello, Cassie! 🙂 Nice to meet you! I’m glad to hear I piqued your interests. We have much to think about, and it never ends. So sometimes, I try not to think. Thank you for the visit, and for the notice. How kind of you! I understand your feeling. Without the whole world witnessing the same miracle at the same time, barring that, I don’t know how else some folks will ever change their minds. It will take a miracle. That’s a cool story, Ed. Super! 🙂 Fine and fitting. 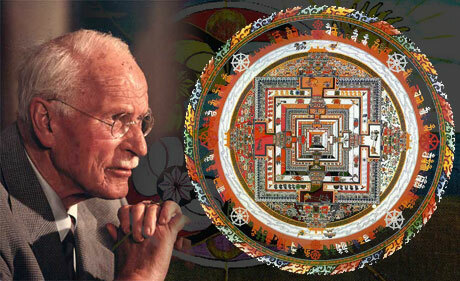 That Jung came from the old world – there can be no doubt. “The Grail Legend”, co-written by Emma Jung. Wonderful post and very interesting UT! I have never had any problem, as a Christian, with Jung’s ideas and.or posits. The fact that he referred – loosely – to the Self being God within, to me implies (at least I infer from it) the scriptural statement that we as humans are created in the image of God. Does that not equate with Jung’s idea? That is not to say that our Self does not exist separately from our Creator. We are autonomous beings, capable of our own ideas (obviously), but we are all made from the same God Stuff, as is, indeed all of Creation! I’m glad to know that you find Jung’s ideas interesting. I first started reading some of the volumes from his Collected Edition 10 years ago. Volume 5: Symbols Of Transformation (1956) is one I’ve recommended in the past. If you’re into comparing religions (which I felt guided to do for several years) from the whole world over, from a historical and aesthetic perspective, this book practically has them all. Jung did tons of research before going public with his ideas. Volume 9: The Archetypes and The Collective Unconscious (1959) is another book I spent several weeks mulling over. personally, and how you attempt to view it objectively, which is difficult, seeing we are sorta on the inside looking out. Are we capable, alone, as individuals, to come up with ideas for which there are no outside comparisons? Something totally new? That’s another topic we’ve been discussing in the comment section of these two posts. 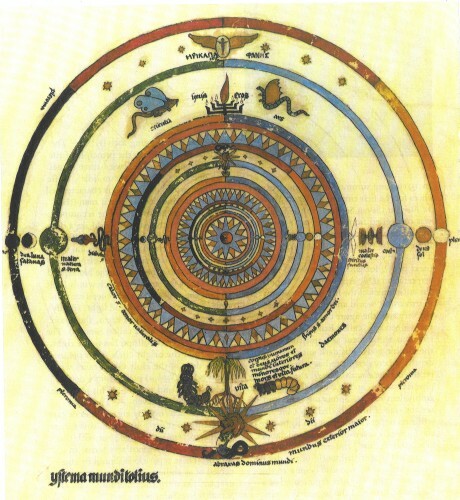 I frequently write or talk about the “hermeneutic perspective.” It is one of those unavoidable things about being human – and Jung was subject to it as we all are. But because of that perspective, I can read the scriptures and others works and find something new and different every time – that I would have been willing to swear had not been there the first time I read it. That is what I call “the Mystery of the Gospels.” God is always revealing Godself to us whenever we seek God. But we are all going to find Something and/or Someone different – we can’t help it – but it will be our own, and it will be what we need. complicating the value of gaining a general consensus. Why can’t we all get along? Because, on the whole, we see that we very rarely agree on anything at all. The only recent exception to that rule (for Americans, at least) was when politics and religion were obliged to co-mingle after the tragedy of 9/11/01. For once, Congress was unanimous in making a decisive decision – to retaliate. None of this “turn the other cheek” malarkey, nor did we hear, “Vengeance is mine, sayeth The Lord”. We heard, “It’s all about oil.” We heard, “It’s a religious war.” ‘Twas a war on terror, and even then we can’t agree on the definition of a terrorist. What is one to do when one doesn’t know Hebrew? But first, how do we get our hands on The Dead Sea Scrolls? Or who can we trust to interpret The Truth for us? Tell an unbeliever that they need to seek God, and if they decide to do so, they will be expecting something to happen; they will expect to see a sign from God of some sort. What then are the chances that they will find Something and/or Someone in the material world that will astonish and stupefy them so greatly that they have to say, “There is a God!” ? For some, reading words in The Bible will never amount to an experience that can be had, seen, and felt firsthand. I would say that I was one of the lucky ones who sought, but I’d rather believe it was grace rather than luck that granted me a finding – once upon a time. 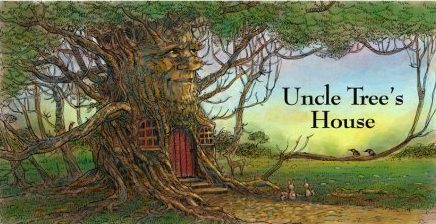 “Tis all part of the mystery surrounding Uncle Tree. But, couldn’t it have to do with short-term loss of memory? the Father, whereas before I sympathized with the kids. words. Sometimes, I even astonish myself. My wish is to write poetry that is of The Ages – with lasting power. thanks to Jesus Christ, our Lord and Savior. only one unforgivable sin? To not believe this one simple story? Or are their 10,000 rules by which they must abide? Ahem! Uh..sorta. Jesus wasn’t a Christian, so is there any reason to wish to become one? We’re not asking the simple-minded to become Christians. Are we? How ’bout just believers and followers who go about The Lord’s business? witnesses, proclaim what He has done for us in this life – this world? It’s a sin to rail. Well, there I go again. It’s forgivable. No biggie. Thank you for directing me to this old favorite post of yours, Paula! My response to your interesting reflections above is manifold! Rather than take up all your space with commenting here, I will send you an e-mail. It is not that it is private, just space-consuming! Should you wish to publish it here, (or want me to), after reading it – let me know and you may or I will! I wish you enough. . . I think I have an infinite amount of empty space in my forest. they have their own website. Whoduhthunk? We are alien to our Self! Thems are getting excited, eh, Uncle Tree? Should the pen, move forward? God never changes. Perfection can not be improved upon or diminished. Christ does not merely stand for truth, He is The Truth. by coming into our innermost being. He promises to never leave.He changes our course for Eternity. I pray you will find this Way, this Truth, and this Life. My Jesus. I happen to find the One and only Son Of God, i.e., YOUR Jesus. the-less, for my own sake. There! Good as done. No worries. story which will introduce you to My Jesus, My Truth, and His Ways. In the first place, I don’t believe we’re ever alone. I’m a believer, yes, but I haven’t always been this way. At the age of 14, I made a conscious decision to leave the church, and to put all that fairy tale stuff behind me. Some folks might say I was lost. 26 years later, I gained through an unforgettable experience when my grandmother passed over in the year of our Lord, 1998. I dearly loved my grandmother, and I was feeling the pangs of regret and remorse as I made my way alone in the car to my parent’s house. It was the day following the end of her life on this earth. Still in the stage of denial, I had yet to allow myself to breakdown and mourn, but I surely knew the time would come when I would fall apart and shed many a tear. I’d been thinking about her unfailing faith and her deep love of God. For me, she seemed to be the ideal model of a Christian. She lived it. And so it was then, at that point, that I turned my thoughts towards the heavens. I asked the Lord a question, and I hadn’t done that for years. I thought, “If anyone deserves to make it to Heaven, it should be Grandma!” So I asked a simple question. “Did she make it?” What happened immediately after that is hard to explain, but it was a very physical feeling of, “Yes! She’s okay!” Swear to God, after I felt that answer, I could have been levitating. The burden of disbelief was lifted from me and I felt 500 pounds lighter. No kidding! I was stunned, crying, and smiling bigger than ever driving along in my car in Sedalia. I had to pull over for awhile and gather my wits. I was so relieved. What need was there to mourn? I had no more doubt! When I finally pulled myself back together, I headed out and turned the radio on. “Jesus is just alright with me. Jesus is just alright…” was playing (by The Doobie Brothers) I practically broke out in laughter! Hearing that song at that particular moment extinguished any final doubt about who it was that just visited me. That experience was what got me started. I read a hundred books, and now I’m writing. No need to wonder why. I have kept this story to myself for the most part. Maybe someday, I’ll have to be a little more explicit and put it all down in dramatic fashion. Just because that’s what I do. I don’t do it to make a living, I do it to live a life worth telling. I’m such a fibber. Aren’t I? Forgive me, bro. Time has a way of healing all stopped watches. Its as well to keep one’s finger on the pulse, bro, Arrhythmias do arise but we can still count on Jesus steady footstep and the seed he planted in the so-called Collective Unconscious. The timbre has to come from somewhere. Did I hear the rustling of leaves? Like I’ve said, If you can’t find God – shut your mouth. Still figuring what Hermes has to do with it……there must be some connection. Most scholars derive “Hermes” from Greek herma (a stone, roadside shrine or boundary marker). Lord of orators and wit, literature and poets, athletics. Known as a trickster for outwitting other gods. “I believe my most honorable and trustworthy self…chose to become me, as I am, and always have been.” says this stone-worthy tree. in that, nor will I be cornered into becoming something other. No singularities here. No, no, no. Not for me. No, no. No way. they have yet to touch the ground. For one is a genus, and the uver a genius. One over the hill, and one just under the peak. for in my dream they get Brand-Ed. 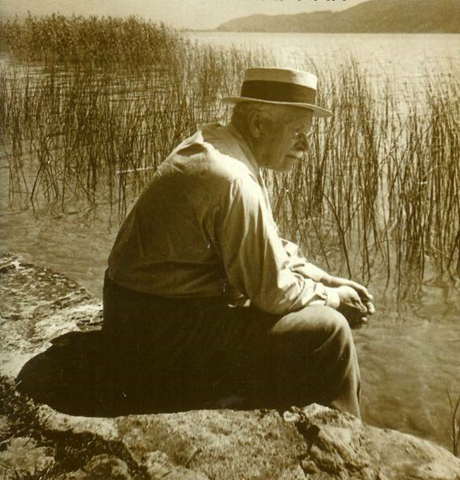 Jung thought a psychological truth must embrace the paradox of living Life in both forward and backward modes. it could be, if we wood only let it. didn’t that use to be the goal of most religious teachings? “Drop your ego, but if you have a light — let it shine! bottom of my hardy-har heart ❤ I thank thee for the kind blessings! I've heard said that blogging is not the correct way to be "discovered". his soul on the line. I’ve learned a lot these past 5 years. of love, wherever it wisely wishes and decides to take us. that only takes us higher, and then broadens our every experience. I thank you truly for altering my outlook, and refurbishing my inner life.